Tuesday’s Set Points, WTA Charleston Day 2: Rogers survives Cepede Royg, Team Bucie to clash in R2! Play started two hours earlier on Tuesday at the Volvo Car Open in Charleston – I tuned into see Mona Barthel serve for the match against Jennifer Brady, first up on Althea Gibson Club Court. I’ve watched enough Barthel matches to know that serving out matches can be dicey but this was a solid close from Mona, serving out to 30 and winning, 7-5 6-4. Both players saved five set points in the first set with Barthel recovering from 3-5 down in the opener and converting on her sixth set point. Barthel’s coach, Christopher Kas was happy on Twitter… i’m still laughing at the hashtag! best clay court match of the season. In super quick time and under an hour, Daria Kasatkina won her first match since Doha with a commanding clay-court display, beating Danka Kovinic, 6-1 6-2. Magda Linette recovered from 0-4 down in the third set to secure a virtual bagel and a third consecutive win over Yulia Putintseva, 4-6 6-2 6-4. Linette had saved match points in their last encounter in Tokyo. Putintseva had taken a medical time-out midway through the third set at 4-3. Whatever the scoreline, this is not nice to see. Shelby Rogers will next play Madison Keys after winning a dramatic first round match against Veronica Cepede Royg, 6-7(1) 6-3 7-6(6) in two hours and 42 minutes. A very nervy Rogers let slip a 5-1 lead in the third set and three times failed to serve out the match. Cepede Royg hit a dreamy cross-court backhand winner to force the deciding set tiebreak. Rogers set up a first match point at 6-5* in the tiebreak following two decent serves. In a crazy point, Rogers defended superbly well but Cepede Royg kept plugging away to save it. On a second match point for Rogers, the American found a brilliant backhand to seal the win. It wasn’t pretty but a huge effort from Shelby to get across the finish line. And spare a thought for Cepede Royg who fought valiantly to get back in contention in the third set. Random segway… I was trying to work out who Cepede Royg reminds me of. In the end, I came up with a cross between Marion Bartoli and Danka Kovinic!
. @Shelby_Rogers_ battles past Cepede Royg 6-7(1), 6-3, 7-6! In an entertaining match with some great rallies, Mirjana Lucic-Baroni beat the qualifier, Aleksandra Krunic, 6-1 4-6 6-3. After dropping her serve three times in the second set, Lucic-Baroni didn’t face a break point in a confident third set display. Irina-Camelia Begu produced a near-flawless display, seizing on short balls from Cagla Buyukakcay and powering through, 6-0 6-0. I really feel for Cagla who has lost her last ten matches and hasn’t won on tour since Moscow qualifying last October. Lucie vs. Beth, aka Team Bucie, will happen in the second round of Charleston on Wednesday. Mattek-Sands recovered from a break down in both sets to defeat the 18-year-old American qualifier, Sofia Kenin, 6-4 6-4, while Safarova needed three sets and two hours and 52 minutes to get past Varvara Lepchenko, 7-5 6-7(6) 6-3. It was Safarova’s fifth consecutive win over Lepchenko. 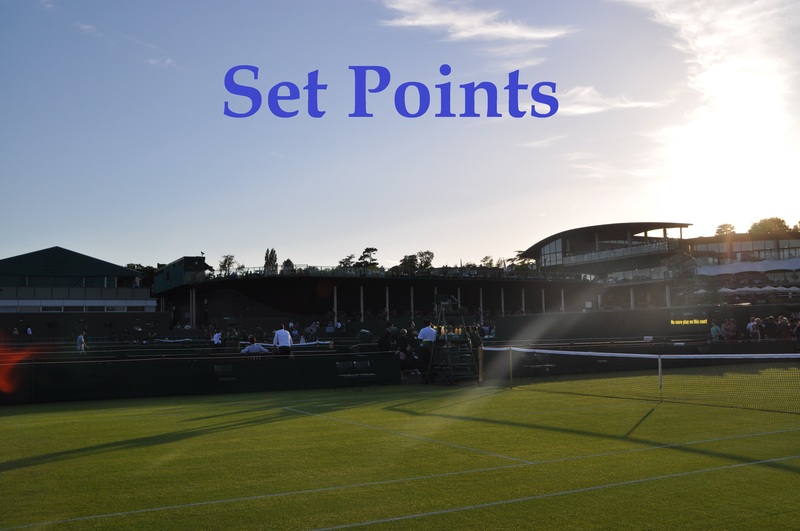 Of her last five three set matches on tour, Safarova has won four of them – a noteworthy stat considering she lost six three setters in a row before that. #TeamBucie clash in the @VolvoCarOpen Second round? The last match time that Lucie and Beth played in singles was one that I got to watch live on Court 8 at Wimbledon, an absolute rollercoaster as Lucie saved three match points to prevail in the first round, 6-7(9) 7-6(3) 7-5. The 18-year-old Hungarian, Fanny Stollar won her second WTA main draw match, serving out the win over Asia Muhammad second time round in a 6-3 7-5 victory. Next up will be the biggest match of her career so far against the number four seed, Elena Vesnina. Maria Sakkari upset the number 14 seed, Lauren Davis in straight sets, 7-5 6-4. Following a superb start to the year, Davis has now lost her last three matches on tour and all in straight sets. Anastasia Rodionova won her first WTA main draw match since Hong Kong in 2015, beating Duan Ying-Ying, 7-6(3) 6-1. In another Charleston epic, Kristina Kucova edged Sílvia Soler-Espinosa, 5-7 7-5 7-6(2) in three hours and ten minutes. In a match spanning across two days due to the rain delay, Soler-Espinosa failed to serve out the match at *5-4 in the second and third sets. Zhang Shuai beat Misaki Doi, 6-2 6-1 (!) in 63 minutes to set up a second round showdown with Naomi Osaka. Louisa Chirico was forced to retire hurt down 0-6 0-3 to Annika Beck who will play Caroline Wozniacki in Wednesday’s night match. Fanny Stollar getting it done today. Game, set and match for Maria Sakkari. Sad that I was unable to finish the match today. Unfortunately I sustained an injury practicing and it flared up during the match. In the only second round match to be played on Tuesday in Charleston, Sam Stosur won the last five games of the match to ease past Jelena Jankovic, 6-1 6-3 in 73 minutes.
.@BamBamSam30 is first through to @VolvoCarOpen Round of 16! Looking forward to seeing these interviews with Sloane! And finally, Wednesday’s schedule will be a hectic one and the forecast doesn’t look great! A pair of snap previews are up for Monica Puig vs. Daria Kasatkina and Anastasija Sevastova vs. Andrea Petkovic, both first up on the schedule at 10am local time (3pm UK time). April 5, 2017 in Charleston, Set Points, WTA. She has just won her match against Vesnina! Has anyone seen her play? What’s her game style? I just got home for the last few points. I read on Twitter that Vesnina was laughing at all of Stollar’s winners! I missed the match, but I read she hit 12 aces in the second set! Ha yes same, I can’t say I was too thrilled when I saw she had won. Big win though over Errani on clay, didn’t see that one coming even with Errani’s form. Gotta agree with you that Cepede Royg does look like Kovinic, even their playing styles come across quite similar!